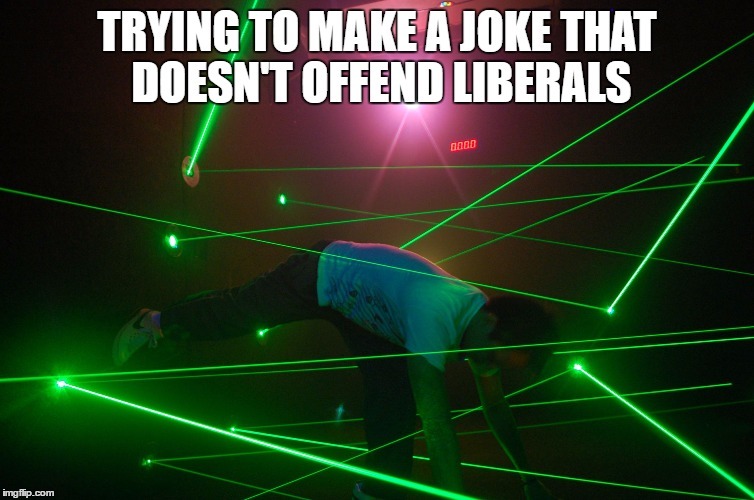 R U Offended? Do I care? (Hint: two letters, beginning with N). I wrote my first blog post in September 2017, and have “published” 183 more since then. That’s more than enough material to offend……well, everyone who reads them. The kind of person who feels virtuous by taking up offenses for others–for instance, the prototypical white liberal who laments their white privilege by tithing 10% of their Facebook paycheck to Black Lives Matter– might even be offended by the title of my post. (Uh oh, with that sentence I probably offended some black people, Facebook employees, and white liberals). Perhaps I should quit while I’m not ahead…..or perhaps we should admit, it’s just too damn easy to get offended these days. That’s what happens when getting offended feels virtuous. Giving offense is not my purpose though. I write my blog to show my children what’s going on in my head, to provoke debates with readers, and to make the time pass more quickly, leisure time being something I have entirely too much of. Let’s first understand the nature of offense itself. Coming from me, an attempt to explain offense is like a person with anorexia nervosa giving a lecture on how to avoid obesity. I have never said or thought to myself (or to anyone else) “I am offended” or “that offends me.” I must have been behind the proverbial door when the gene for being offended was given out. What, you say “there’s no gene for that?” There must be, it’s 2018, there’s a gene for everything! We just haven’t found it yet. But I digress. “I’m fascinated by the link between language and emotion. Are you saying that if we don’t have a word for an emotion, we can’t feel it? Here’s an example: you probably had experienced schadenfreude (pleasure derived by someone from another person’s misfortune) without knowing the word, but your brain would have to work really hard to construct those concepts and make those emotions. You would take a long time to describe it. But if you know the word, if you hear the word often, then it becomes much more automatic, just like driving a car. It gets triggered more easily and you can feel it more easily. Does understanding that emotions are constructed help us control them? It’s never going to be the case that it’s effortless and never the case that you can snap your fingers and just change how you feel. But learning new emotion words is good because you can learn to feel more subtle emotions, and that makes you better at regulating your emotions. For example, you can learn to distinguish between distress and discomfort. This is partly why mindfulness meditation is so useful to people who have chronic pain — it lets you separate out the physical discomfort from the distress. I am going to give my friend Robert Andrews the final word on how to deal rightly when you have offended others (it is a waste of time to deal with those who are offending you): “It would appear to me that repentance and forgiveness are both for personal individual sins committed against personal individual persons, not national policies or decisions. Repentance, from breaking only real, live biblical injunctions, always comes first. If forgiveness is first without recognizing my sin in the conflict (even if it is simply “taking into account a wrong suffered” which true love does not do – 1 Corinthians 13:5) I get to be on the white horse – I am magnanimously forgiving your wicked sin. If I am truly repentant I am seeing the issue as “my fault,” I do not even “take into account a wrong suffered,” because I am too busy rejoicing that my own sin is totally forgiven! Repentance is the cause, forgiveness is the naturally, spontaneously occurring result.” I say Amen. Author iamcurmudgeonPosted on April 4, 2018 April 5, 2018 Leave a comment on R U Offended? Do I care? (Hint: two letters, beginning with N).